With Aba Sayyoh, you can reserve and buy air tickets for flights of Uzbekistan Airways (Uzbek Khavo Yullari) both locally and internationally. We highly advise to reach one of our flight agents to check what discounts are available based on your flight information. While preparing a tour in Uzbekistan, it is very important to reserve local flights inside the country. 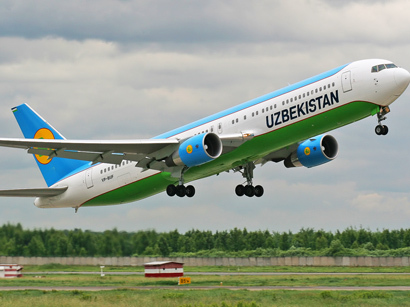 Because travel in Uzbekistan is seasonal, there may be deficit of seats on flights to local cities Bukhara, Samarkand, Khiva, Termez, Nukus and Fergana. Our agents will exert all efforts to supply such air tickets. Also, Aba Travel Agency can accept your payments via Paypal for all types of credit cards.